Everyone knows about March of the Penguins, it was such a huge hit a few years back, and this looks just as good (minus Morgan Freeman narration). The latest from the director of March of the Penguins, French documentarian Luc Jacquet, is titled Ice and the Sky (in English) profiling explorer and glaciologist Claude Lorius. While we've seen a handful of documentaries recently about nature and the effect man has had on the world, this one is fascinating because it seems to look back at the history of exploration/research at the Polar Ice caps before delving into where we are today. The doc just premiered at the Cannes Film Festival (here's a review). It looks like it's a great double feature to go with Salgado's The Salt of the Earth. Described as "a chronicle of the professional and emotional journey of scientist Claude Lorius, who left in 1957 to study the Antarctic ice and is regarded as the first person to discover global warming and prove its existence." From the website for Ice & Sky, it explains: From the glaciology pioneers to the new generation reinventing our society, Wild-Touch and Luc Jacquet connect past and present innovators. Come and join us until 2016 with the release of a feature film, a TV documentary, an educational program, an innovative lab and two expeditions to the Arctic and the Antarctic. 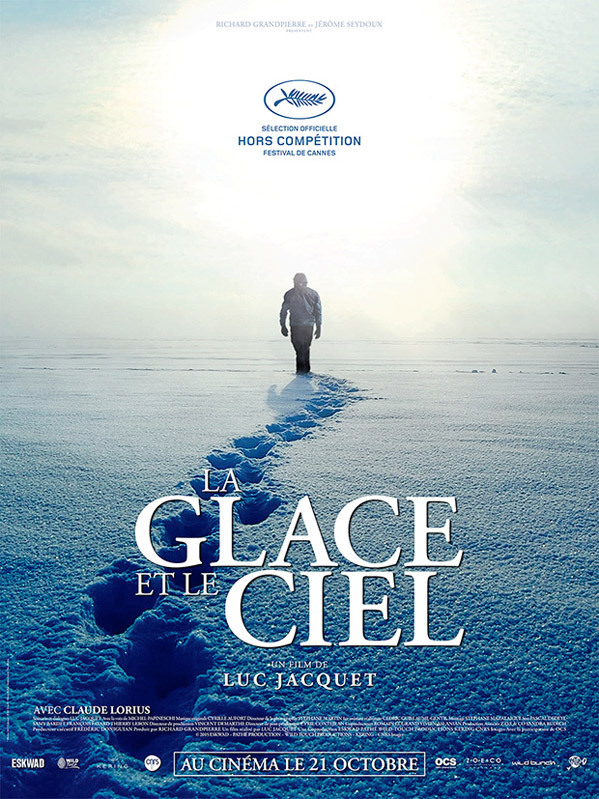 Ice and the Sky, or originally titled La glace et le ciel in French, is directed by Oscar winning French filmmaker Luc Jacquet, of March of the Penguins and The Fox & the Child previously. The film first premiered at Cannes 2015. Stay tuned for any release details. Is this more climate change propaganda? We'll be fine, it'll all be fine. Did my neighbours car just float away? Looks a bit of a weepy one. I'm intrigued... Even if I can't understand a damn thing these frog leg eating bastards are saying. Show some respect, monsieur. Show some respect! I remember reading about this guy in our Winter Class to the Alps when I was super young. We're talking 20+ years ago, and already back then he was preaching about the climate change. Plus, shout out to Jacques Cousteau, one of my childhood heroes!